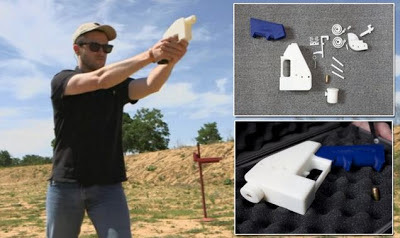 DailyMail spots that Defense Distributed founder Cody Wilson has successfully fired The Liberator, the first entirely 3DPrinted gun (except for firing pin and bullet). Statist liberals are appalled and pandering politicians are already seeking to ban it. But the plans are online and the genie is now way out of the bottle... P.S. In a grotesque violation of freedom of speech and other essential elements of the US Constitution, Cody has been forced by the Feds to take down the designs. "Why 3D-Printed Untraceable Guns Could Be Good For America"
Nice piece, Paul, thanks for link.